We Prescott grandchildren – ten born between 1911 and 1932 – were told as youngsters a tale that the Duke of Wellington had been attending a Ball at Farleigh House (on the Eastern corner of Prospect Road and the Esplanade, Sandgate) just before leaving England to go off to the Battle of Waterloo. He was supposed to have gone straight from Sandgate to the Battle – which he won as we all learnt or knew. Jack Prescott, the eldest of the Prescott children and the father of our oldest cousins, had been born in Prospect House in 1886 and so would have remembered the Ballroom in the garden behind Farleigh House. That Ballroom was badly damaged in the 1893 Landslip and its remains were subsequently removed. From 1920 to 1940 Jack and Eva Prescott and their family lived in Roxana, No. 34 Esplanade. This, the eastern half of Farleigh House, was created when the house was purchased by our Prescott grandparents in 1919 from the Sandgate Urban District Council and divided into two houses, Roxana and Killarney, No. 33 Esplanade. Our cousin Tony Prescott (the youngest child of Jack and Eva) was born in Roxana in 1920. As I grew up I began to doubt the truth of this story as it seemed to me – first up – that Wellington would have travelled from an East Coast port like Harwich to Belgium for the Battle. Later I checked the history books and found that the Duke had been in Vienna when Napoleon, on 26 February 1815, left Elba for France in his attempt to regain control of Europe. Wellington had been in Paris from August 1814 where he was designated the British Ambassador. He had been relocated to Vienna to participate in the on-going Congress of Vienna. He had left Paris on 24 January 1815, and arrived in Vienna on 3 February 1815. The Duke did not leave Vienna until after the news of Napoleon’s arrival in Paris, travelling between 29 March and 4 April 1815 from Vienna to Brussels where he remained until the Battle on 18 June 1815. Only one source stated that Wellington had been in Paris in April 1815, other than in Belgium. That source was Harriette Wilson, but little credence is given to her assertion. That is not surprising considering her place in English social history, for example the author in question, when quoting her allegation, described her as “the courtesan” and mischievously as an “author”. So all of that seemed to put an end to the 1815 Wellington/Farleigh House yarn. It became obvious that this tale may have been influenced by the account of the Duchess of Richmond’s Ball in Brussels just before the Battle of Waterloo that figures so prominently in Thackeray’s novel Vanity Fair. However it may well be that this incorrect claim was not solely a piece of Prescott family folklore but that it may have been one that flourished in pre-1940 Sandgate. James (Jim) Arthur Sovereign Prescott was the second child of our Prescott grandparents and was born in 1891, two years before the Landslip. In the mid-1970s Jim Prescott, the dentist who had practiced in Warminster, Luggershall and Axminster, gave to me two Prescott treasures before his death in 1978. These were a copy of the issue of the Folkestone Herald for 11 March 1893 following the Landslip and a copy of the Sandgate U. D. Council’s Official Guide of Sandgate published in the early 1920s. The first is an invaluable source of historical information on that event. For the purposes of this narrative the newspaper reported that at Farleigh House “the greatest damage was sustained in the rear, but the injury was slighter than elsewhere, owing to precautions taken in the construction of the premises nearly eight decades ago.” Therefore the house, known as Farleigh House from at least 1850, had been in existence at the time of the Battle of Waterloo. The copy of the Council’s Official Guide is even more important in the context of this Wellington story. This guide, according to the Sandgate U. D. Council Minutes at East Kent Archives, was first discussed in 1923 and an edition was published soon afterwards. By June 1925 there was further discussion by the Council on an updated edition to contain “a plan of the district”, which is included in the copy that Jim Prescott passed onto me. In the early 1990s I learnt from Brian Boreham that the Folkestone Library Local Studies Collection did not have a copy of this Guide. I photocopied my “Prescott” copy and gave the original to the Library. Certainly this could be the source of the Prescott story that linked Wellington, the Ball before the Battle of Waterloo, and Farleigh House. The accuracy of this account in the “Official Guide” is blown completely out of the water by the fact that it was Angela Burdett-Coutts who proposed to the Duke of Wellington on 7 February 1847 in her house in Mayfair, round the corner from Apsley House. The Duke declined both at that time and again in a letter dated the following day. The reliability of the author of the “Official Guide” is further called into question by the fact that Angela Burdett-Coutts, who was born in 1814, was 33 years old at the time of the actual proposal in 1847. She was 19 in 1833 and did not inherit the Coutts fortune until 1837, when she was 23. There are at least two sources that link Angela Burdett-Coutts and the Duke of Wellington with Farleigh House. Brian Boreham drew my attention to the first of these in 1993 when he gave me a photocopy of the original. That photocopy is of a manuscript item by Col. Fynmore, the local historian whose Scrapbooks are such very important sources of information in the Folkestone Library Heritage Room collections. The death of the good Colonel on 12 August 1920 enables us to date the Council’s “Official Guide”, since had he been alive the errors on this aspect of the Sandgate history would never have been published. The author of the Guide obviously listened to verbal reminiscences but did not check his facts. As far as the Earl of Winchilsea and Wellington are concerned it should be noted that in 1829 they fought a duel arising out of the passing of the bill on Catholic Emancipation. While, from the above, it is clear that James Brissenden told Col. Fynmore about the Wellington/Saxby meeting, it would appear that the other information contained in this note may have come from some other source or sources. James Brissenden, the builder, did not die until 31 December 1893, so he could well have reminisced with the colonel at the time stated. Brissenden would appear to have been a resident of Sandgate for more than 30 years before 1893 and Sarah, his wife, was born in Sandgate. Fortunately another printed source puts Angela Burdett-Coutts squarely in Sandgate in August 1947, six months after the well-documented proposal. This is a biography of Burdett-Coutts by Diana Orton called “Made of gold”, published in 1980. In Chapter 7, on the long-standing friendship between Burdett-Coutts and the Duke of Wellington, the author wrote on p 120 “Late in August  found the Duke at Walmer Castle again and Angela with the Browns at nearby Sandgate.” While we may wonder at the word “nearby” being used in the middle of the 19th century with regard to the distance that separated Walmer from Sandgate there could be another problem. Orton does not say that Angela was staying at Farleigh House, but in addition there is a further ambiguity in this statement. The Dickens letters to Angela Burdett-Coutts on their joint project of Urania Cottage are covered in detail by Diana Orton, particularly from our point of view in 1847. “Dickens’s task was not made any easier by the fact that he never seemed to find Angela at Stratton Street [the address of her Mayfair house] when he called. She spent part of the summer in Finchley [Holly Lodge], later going to Sandgate; … ” Dickens wrote to her in late August [26 August 1847] on aspects of this project. “Two months later [on 28 October 1847] he wrote again – evidently unaware that she was in France.” The Duke’s letters to Angela over this period indicate that she was away from England in France from October to late November. By 20 November Dickens was anticipating her return home within days. All of these sources tie together the visit of Wellington to Sandgate, and his call upon Angela Burdett-Coutts at Farleigh House in the summer of 1847. These facts, together with the errors in the “Official Guide”, could all be sources of the Battle of Waterloo yarn in the Prescott family folklore. It could be argued that the Farleigh House or Killarney/Roxana that we all remember from before its demolition in the early 1990s would not have been grand enough for Burdett-Coutts to stay there. However the early maps (the John Adams map of the Parish of Cheriton of 1828 and the 1840 Tithe map of Cheriton Parish) show the outlines of a substantially larger land area property and additional buildings in the rear garden on the Prospect Road frontage. In the 1854 Cholera map of Sandgate the land area had been reduced by at least half and all the rear buildings had been demolished. These reduced property and building outlines continued to be recorded in subsequent Ordnance Survey maps in the later 19th century and the early 20th century. It is possible that those changes took place after Farleigh House was acquired by members of the Tyssen family. This ownership was in no way part of that of the Castle House land and houses, or “Tyssen Trust” properties as they were later called. However once the outbuildings, containing stables, additional servants accommodation, and possibly an earlier ballroom, were demolished when the land area was reduced it would have made sense for Tyssen family members to have used the Castle House stables for their carriages, etc. Certainly the servants’ quarters in the lower ground floor of Farleigh House were surpringly limited in relation to the accommodation on the upper floors. In addition, from maps up to the time of the Landslip, it is clear that the “Ballroom” was erected after 1854 in the eastern half of the smaller rear garden. It was this “Ballroom” that was demolished after 1893. So far no supporting evidence has been found that confirms the date of these changes to Farleigh House prior to 1854. Again if Farleigh House could have been considered inadequate for the needs of Angela Burdett-Coutts one has to accept the facts as contained in Mrs Jones advertisement in The Times in 1898 when the house was offered for rent. 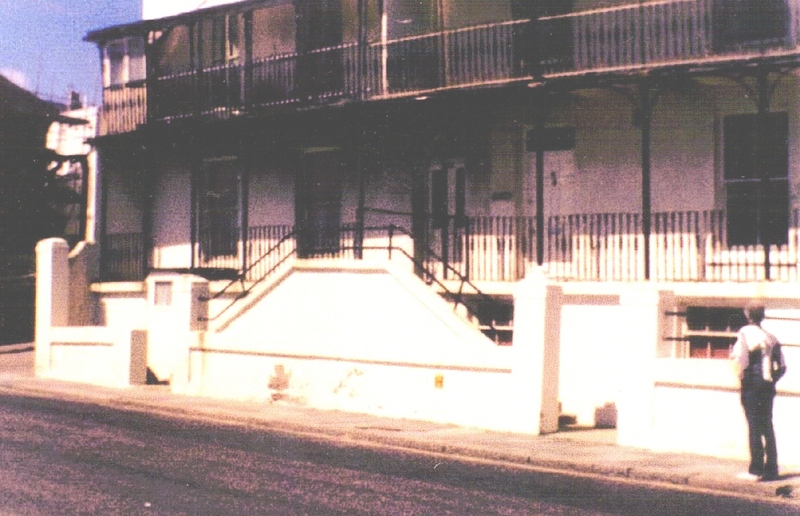 The text detailed the “four large exceptionally well furnished reception rooms [all on the Esplanade frontage with balconies in front of each], nine large bedrooms, etc.” On the other hand in Angela’s terms this might have been a desirable seaside cottage. One has to note that while the two houses are described as a “pair”, much detail is given on the fact that the front doors did not match. This fact is the key element that proves the houses were never a “pair”. The doorway into Killarney was centrally located leading into the original entrance hall of Farleigh House, with the double set of steps leading up to it. The doorway into Roxana was off-centre and of different appearance to that of Killarney. This doorway was created in 1919 and led into one half of the former reception room at that level on that side of the original house. When John James Jones ceased to use Farleigh House as his family residence and turned it into another of his convalescent homes he divided three of those reception rooms into smaller rooms. The only reception room that remained was that on the first floor of Killarney, with the bay window looking out to Dungeness. One would imagine that all residents of those two houses from 1920 to 1990 would not have accepted that the houses were a “pair”. There were two additional issues upon which those opinions would have been based. Firstly there were the facts of all the anomalies in relation to the staircases in the houses and their (the staircases) accessibility to all floors. The other set of problems that arose in 1919 when the two houses were created was with regard to the rear doors to both houses, and the access to those doors. Readers in this the 21st century might wonder at the knowledge (albeit erroneous) of the Official Guide’s author about the “engagement” of the Duke and Angela Burdett-Coutts. It has to be remembered that she was one of the most famous and highly regarded women of 19th century England – a celebrity in our terms. At times she was second in popularity only to Queen Victoria. Rumours of this “engagement” were common, not only in “Society” but also among all levels of the community, and there were later persistent beliefs that she and the Duke had been secretly married. So the author of the “Official Guide”, writing in the early 1920s less than 20 years after the death of Angela Burdett-Coutts in 1906, would have had some knowledge of these facts. He put them to use when writing about the events regarding Wellington, Angela Burdett-Coutts, and Farleigh House. Alternatively this information may all have come from other source or sources, which information resulted in the passage in the Council’s Official Guide. My final paragraph is more of an observation. From my 1930s and 1940s recollection of the image of the Iron Duke at that time it was one that tied in with that phrase. However I find the account of his meeting with Saxby to be very egalitarian. This impression is actually confirmed by an opinion of Wellington expressed in the years before his death. The speaker was a political “opponent, yet a generous one” – he said of Wellington “his apprehension is quick, his sagacity marvellous, his application indefatigable, and his decision and courage unfailing”. The same “opponent” also said that he was loved “for the ineffable charm of his unassuming simplicity”. A more contemporary opinion of the Iron Duke is that of Professor John W. Derry, who had written in the mid-1990s that Wellington “was without vanity and had little time for romantic delusions about military glory. For Wellington the greatest misery next to a battle lost was a battle won. 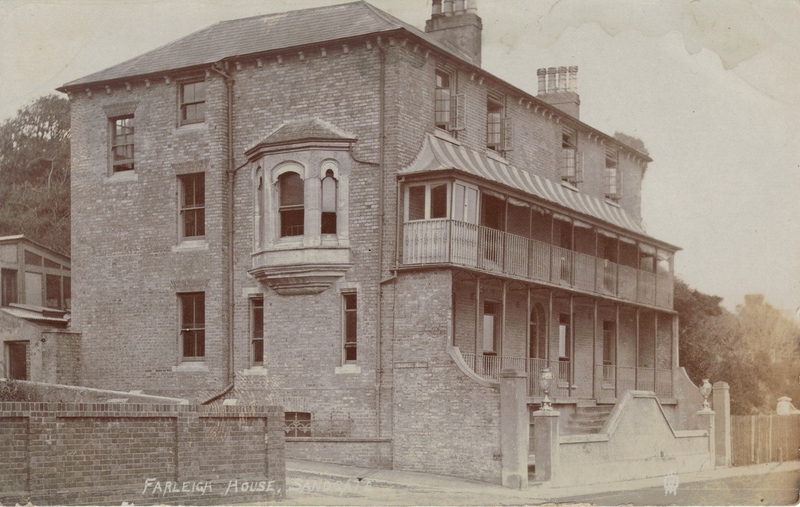 He cared for his men and husbanded their lives, scorned extravagant gestures, and despised popularity.” All of this is what Saxby knew would greet him when Saxby called upon the Duke at the Marine Hotel, Sandgate in August 1847. Acknowledgments should be made to Michael Sargeant for his reminder about this Prescott family “story”. Acknowledgments should also be made to Karen Pender, one of the Librarians in the Reference Library Team of the Central Library, here at Sutherland, of the Sutherland Shire Council’s Libraries Service and to Dianne Ollerenshaw, Interlibrary Loan Officer of that Team, for all their assistance in providing information and books on Wellington, Angela Burdett-Coutts, Charles Dickens, etc. © Bernard William Sargeant 2009.